VATICAN - Cardinal Filoni: "Holy See-China Provisional Agreement of historical significance"
Vatican City (Agenzia Fides) - Cardinal Fernando Filoni, Prefect of the Congregation for the Evangelization of Peoples, followed the delicate and complex path of the Catholic Church in China since 1992, the year of its arrival in Hong Kong. In those same years the diplomatic detente began between the People's Republic of China and the Holy See, with the first contacts between members of the Secretariat of State and the Ministry of Foreign Affairs of Beijing. Agenzia Fides re-publishes the interview with the Osservatore Romano. 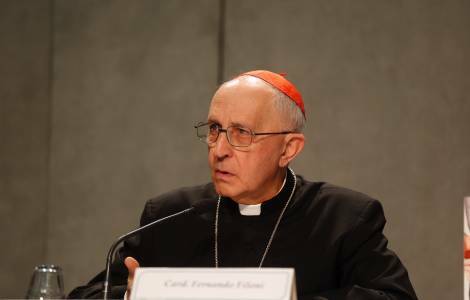 Your Eminence, for several years now you have led the Dicastery of the Holy See responsible for evangelization, with particular reference to the so-called “mission” territories. What do you see as the pastoral significance of the “Provisional Agreement on the Appointment of Bishops” signed by the Holy See and the Chinese Government on 22 September 2018?